Among many assets, Dajuma offers to its guests a lot of places in its 1,5 ha tropical garden where the master words are RELAX and UNWIND. 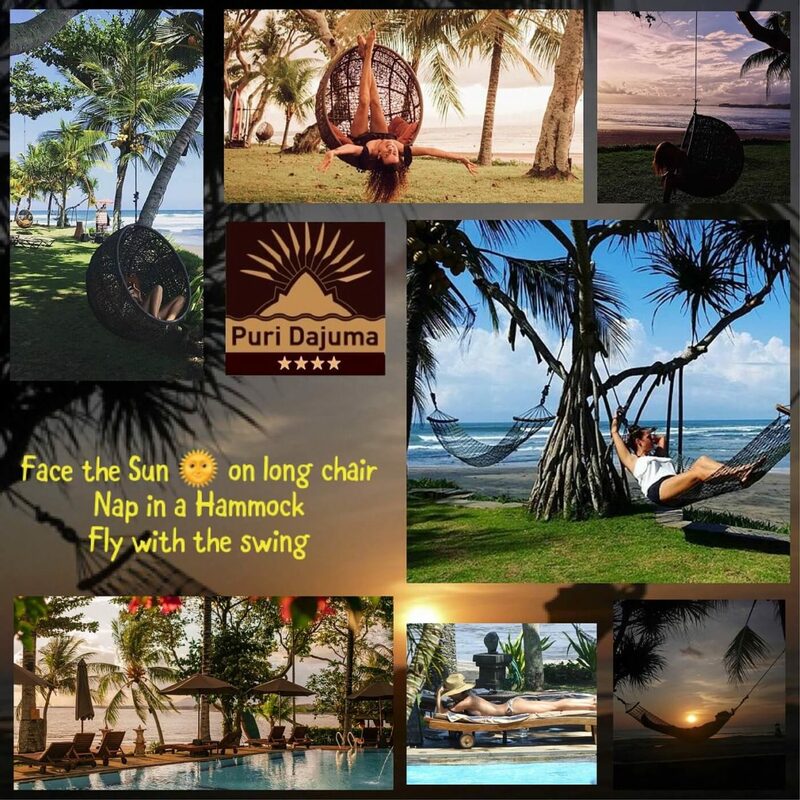 Let’s have a look at these places: along the 200 meters seashore, just a few steps from the beach, comfortable long chairs, hammocks, swings and Gazebos await your visit with a breathtaking view of the ocean. Even when the hotel is full you will always find a tranquil place where to relax. A little bit higher, our Bendega Pool deck is also another place to visit: overlooking the fishermen beach and the Medewi surfing spot, you will be fascinated by the mouvements of the fishing boats and the surfers. But the cherry on the cake is definitively the sunset. Fully oriented West, the entire property offers unforgettable sunsets. Looking forward to welcoming you soon!